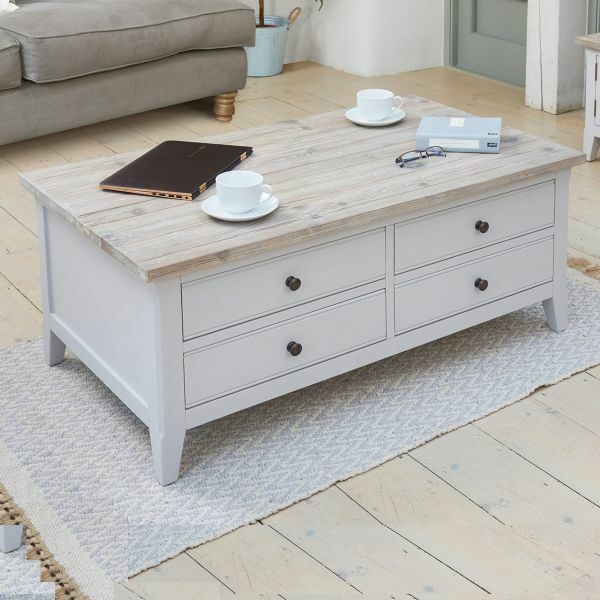 With an expansive distressed hand limed top, this Signature Grey TV Cabinet is the perfect centrepiece for any living room. 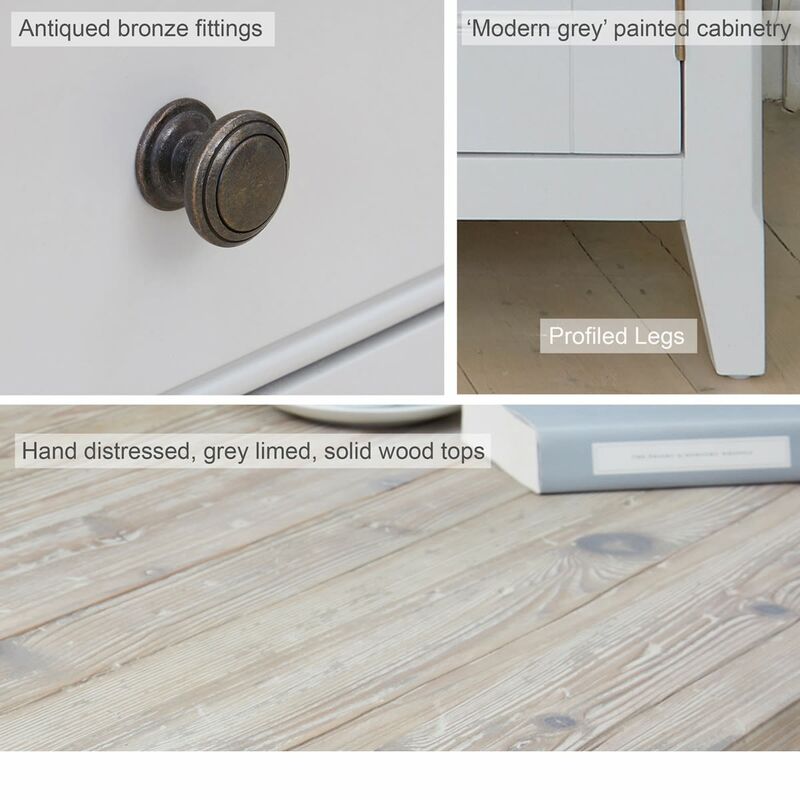 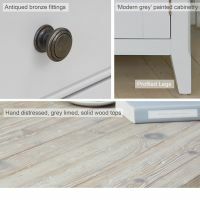 With its soft grey paint finish, it will work well in any existing décor style while still offering a fresh and modern update to a room. 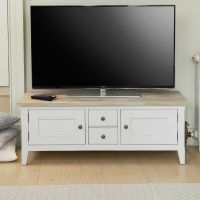 Flanked on either side with shelved cupboards it has ample storage for a DVD player or games console, while the two drawers in the centre offer a handy space for remotes and spare cables. 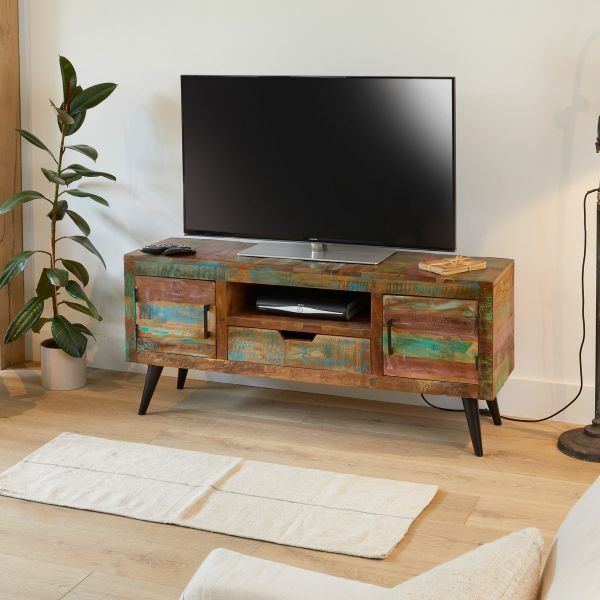 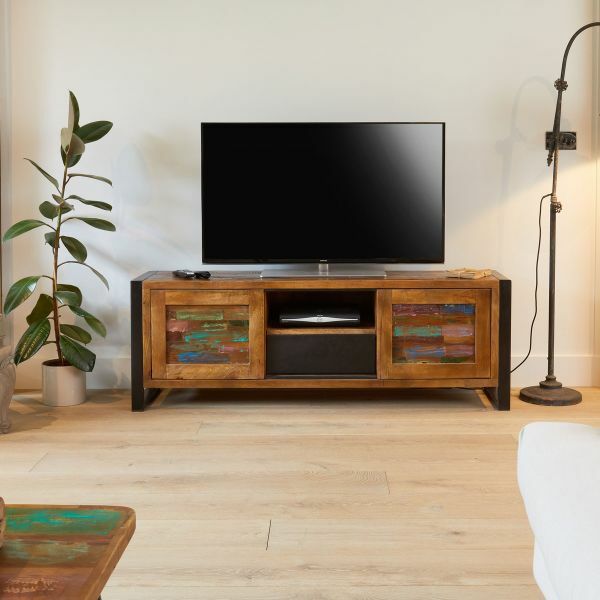 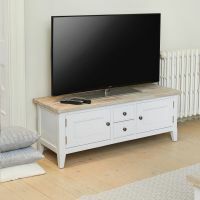 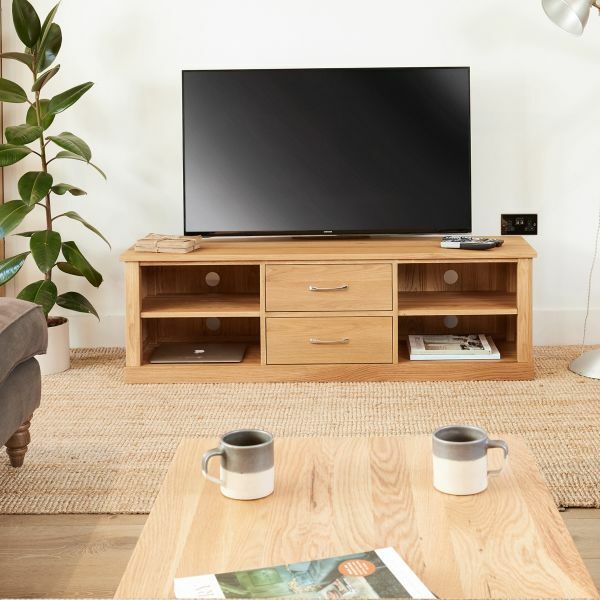 Crafted from solid wood throughout, this smart TV cabinet is solidly built, delivered fully assembled within five working days and comes with a five year manufacturer warranty. 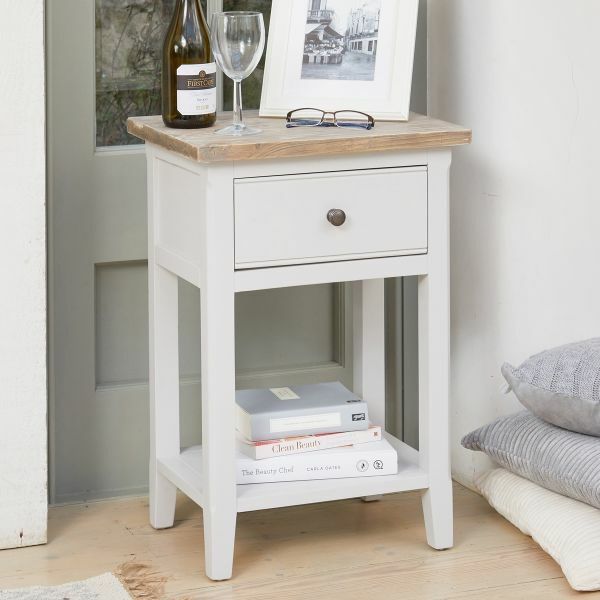 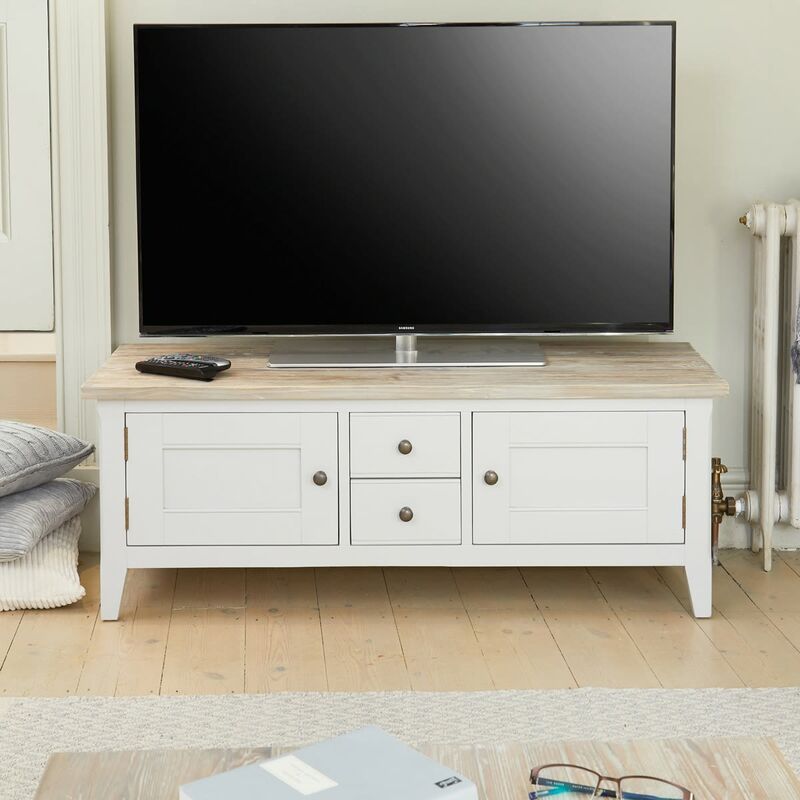 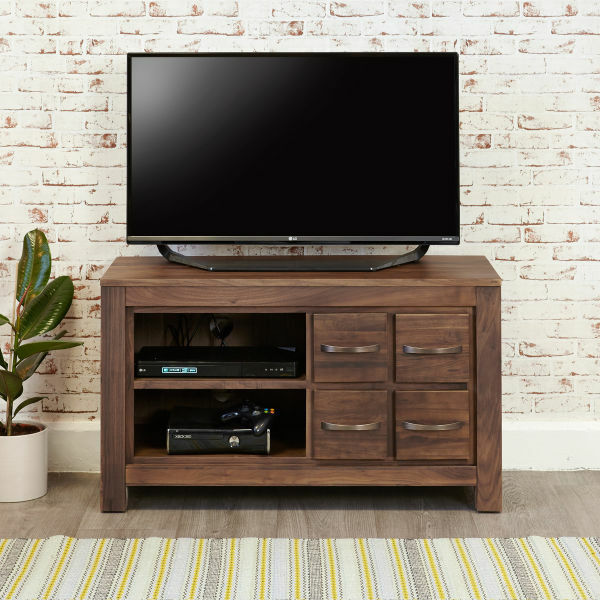 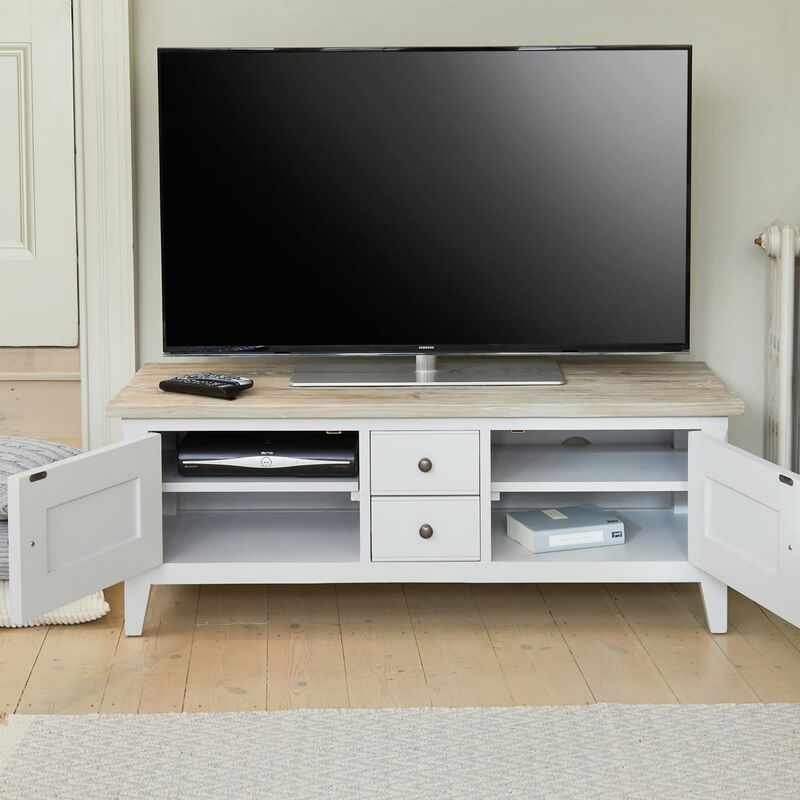 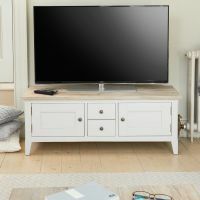 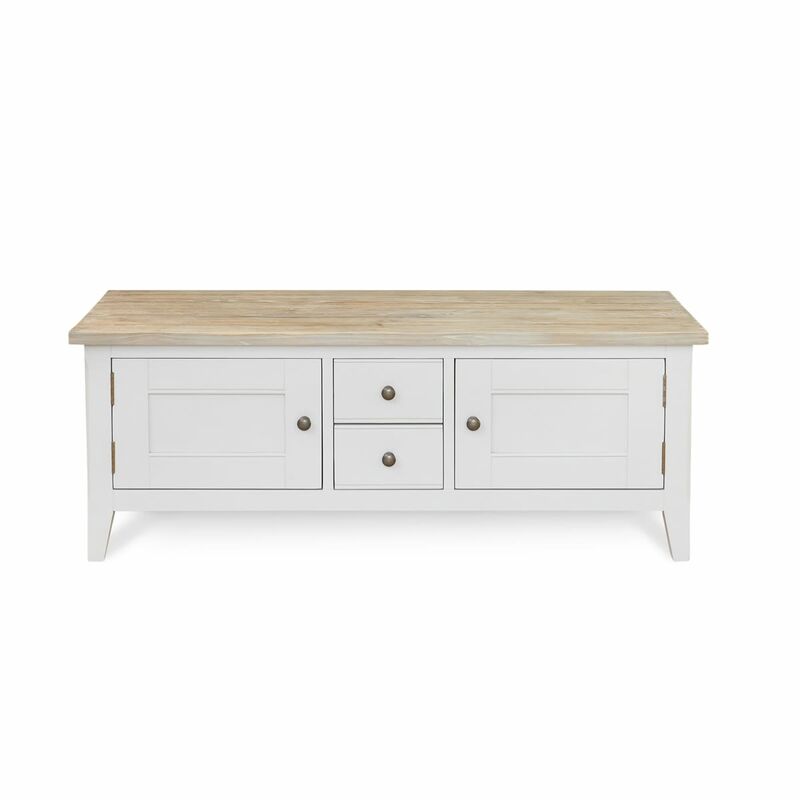 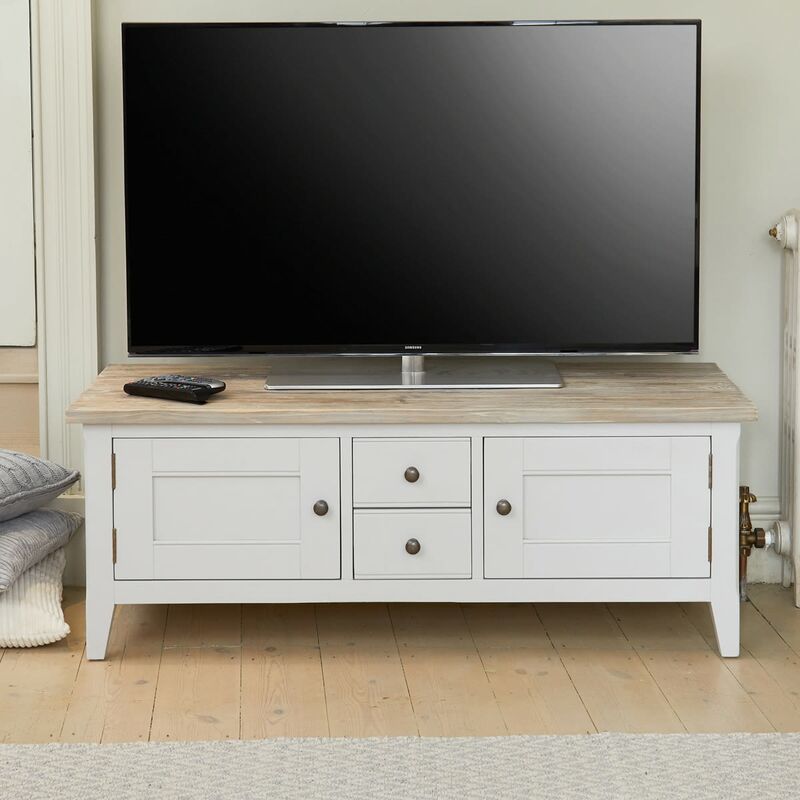 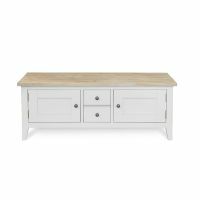 If you're looking for a stylish alternative, why not consider our best selling Coastal Chic TV cabinet ?